Windows – Carlson Exteriors Inc.
Here’s why: Your roof is somewhat built to accept and resist impact, your skylight isn’t. More specifically your skylight seals are not. While the seals might not be leaking it doesn’t mean they have not been compromised and might in the near future. Velux, a leading manufacturer in the window and skylight industry, issued a letter on the topic. This letter can be used to persuade your insurance company to release the funds for replacement skylights after a hailstorm. If you are curious about Velux Skylights and Sun Tunnels, Project Manager Nick Coyle talks about both in the below videos. Click here to request an estimate to replace Skylights. Carlson Exteriors has been busy installing windows this summer! Check out the photos of the residential bay window replacement, large commercial window replacements, and our residential gable window replacements. No window replacement is too large or too small for us! When Should You Get New Windows? Window casings are made up of one piece on each side. The longer the window, the longer a trim piece is needed. Many people clean their windows pre-summer which doubles as a window inspection. Even if you don’t clean, you should inspect the condition of your windows and window frames. It can be tricky deciding if a repair or a replacement is the way to go, so, when should you get new windows? You should consider upgrading your windows if you have single pane windows, typically these windows are found in a pre-1970s house. Single pane windows get stuck easily when opening or closing, are cold to the touch, and often accumulate frost 0n the interior side of the pane- this raises the chances of the window breaking. Keep in mind that difficult to use windows pose a fire safety concern. Ultimately, single pane windows are not energy efficient or user friendly. If you replace the single pane with a dual pane window, a high-performance window, or even a laminated glass window your monthly energy bills should show immediate savings and any outside noise will be diminished. A good rule of thumb is that outside weather conditions should not be present on the inside. 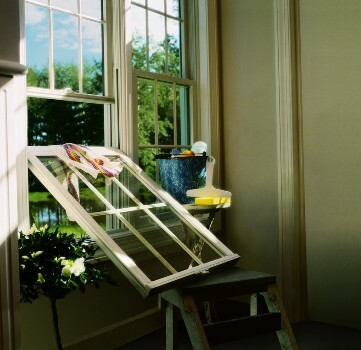 Leaky windows can let water through your walls or even in-between your walls. 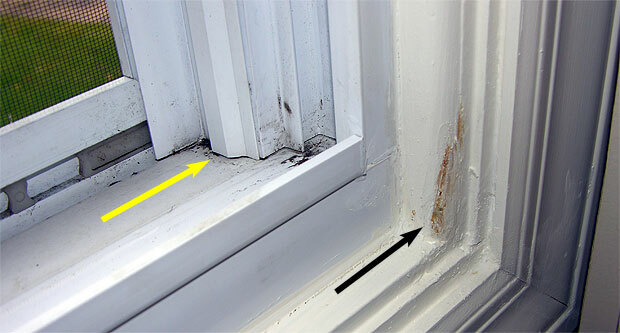 This moisture will make your window and home prone to mold and rot. These same leaky windows will let air in as well creating higher energy bills during peak heating and cooling months. 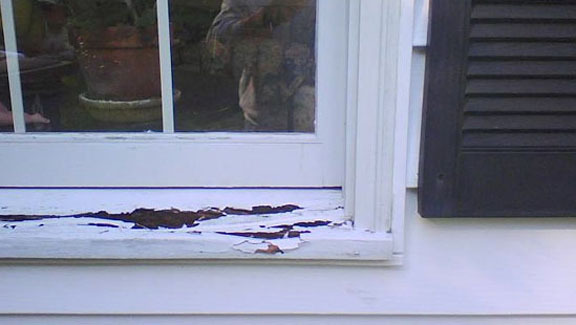 A deteriorating window frame is a sign you should replace your windows immediately. If you aren’t interested in all the maintenance that goes into keeping a wooden window frame in good shape, consider an aluminum casing, vinyl casing, or going with a synthetic composite material as your frame. Not having any exposed wood eliminates the resealing and repainting of your frames. It also ensures no rotting, flaking, or fading while not compromising the durability of your window. 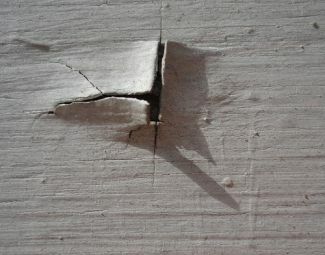 You can easily check your own windows for rotting by poking it with a screw driver to see if there is any give. You could also call a trusted home inspector, a window contractor, or window installer to check your windows for you. Your windows need to be functional and aesthetically pleasing. Mismatched or old windows can bring down the value of your home. Just like everything else that goes into a home, an ugly or an outdated style of a window can be reason enough to install new windows. Replacing your windows does have it’s benefits: increased home value, energy savings, easy to clean/take care of, and, simply, everyone loves a beautiful window.